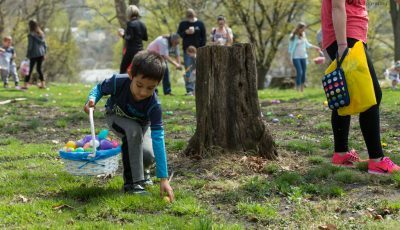 Plenty of fun events this week in Greensburg to keep you busy! Have an event coming up? Add it to our free community event calendar! Come to their first day of 4th semester classes, meet the staff, and try your first Stage Right! class for free! Call them at 724.832.7464 for more information! Google Apps are free. The YWCA Westmoreland is expanding this class so they can teach you how to use Google Docs Sheets and Drive. You use Google Docs to create documents and Google Sheets to create spreadsheets. Google Drive is where you keep your files. You can access these from your computer, smartphone or tablet. You must have a Google account to take this class. Monday Evenings at 6:00 pm – 9:00 pm on April 1, 8, 15, 22. Registration is required. Call 724-834-9390. Join the Greensburg Hempfield Area Library for a discussion on Packing for Mars: The Curious Science of Life in the Void by Mary Roach. This discussion will be led by Janet Swearingen. Please register in advance, so a book can be ordered for you. Space is limited. 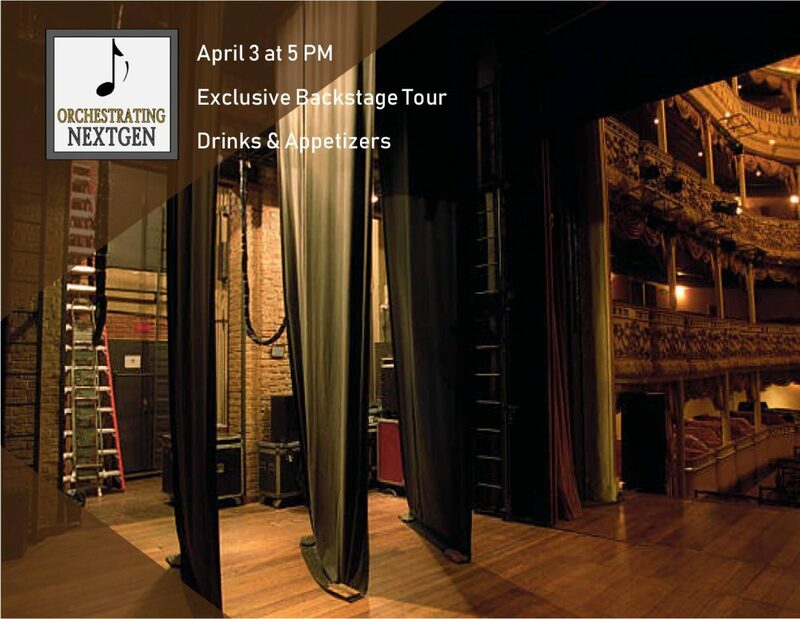 Join other young professionals on an exclusive behind-the-scenes tour of The Palace Theatre, our beautiful concert home. Enjoy drinks, appetizers and a free mini-concert by WSO musicians on the main stage from 5-8 PM. The event is free but RSVPs are required. Call Endy at 724-837-1850 or info@westmorelandsymphony.org . From 6-7PM at Greensburg Hempfield Area Library, join us for a free, fun family activity for children ages 2 to 6 years (siblings welcome). Play with our huge collection of building blocks and more. Stay the whole time or drop in for part of the party. No advanced registration is needed. Filling in for Andy Gregg for the first Thursday of the month gig at All Saints Brewing Company from 6-9 PM! Discover the perfect ring to seal the deal during our biggest bridal event of the year today, Friday, April 5th and tomorrow, Saturday, April 6th from 10AM-8PM. Explore engagement rings, wedding bands, anniversary gifts, and custom designs! Featuring the latest trends from three leading designers including Gabriel & Co., Lashbrook Designs, and Simon G. You can also explore an outstanding collection of GIA Certified Diamonds – competitive with online pricing. Just drop in anytime during the event or make an appointment in advance and receive a FREE gift at the event. Tons of savings & special offers this weekend, feel free to come in! Come out to the Greensburg VFD #7 from 9AM-3PM and help save a life. Register now at redcrossblood.org with the sponsor code “gbg” to donate! Come to the Pawn & Jewelry Exchange from 10AM – 3PM for free repairs done by Master Jeweler, Brian Nicklaus. Services included in this clinic are verbal appraisals, cleaning, inspection, re-styling or custom-design consultation, quick repairs $100 or less while you wait, and discounted pricing on all other repairs! Call (724) 836-7296 to reserve your time slot! This program at the Greensburg Hempfield Area Library will teach participants the basics of computer programming, including basic logic and syntax through hands on activities with Pop Up Creation Lab devices shared through the county library system. This program will start with Sphero and will end with Finch and Hummingbird devices. Sign up for each session individually online or by calling 724-837-3620. From 10-11AM at the Greensburg Hempfield Area Library, join us for fun with stories, songs, and crafts for 2 year olds with the Cookie Monster! you can do with a box lid and a bunch of doodads! Not all art is paint, paper, and clay. For children 7–10 years old. $15 members/$20 non-members. To register, call (888) 718-4253. Brewery Tour and Tasting Event at All Saints Brewing Co. Starting at 3 PM, All Saints Brewing Co. is hosting a brewery tour and tasting event to support the soldiers and families of Greensburg’s own Delta Company 1st of the 110th Infantry Army National Guard. $25 per ticket, includes tasting of 4 House Brews, 1 Pint of Brew of choice, Appetizers by Aroma Italiano, Italian Auction, 50/50 raffle. Call 412-491-6566 for tickets, to donate auction items or to learn about sponsorship opportunities. Tickets are also available in our Taproom. Join us from 7-11PM at the Hempfield Athletic Complex for a nostalgic celebration of life, fun, and the 80’s while supporting both local and national Teen Suicide Awareness Programs! Breakout your best 80’s garb (formal, character, or fun) and dance the night away to DJ Mad Maxx’s 80’s jams, enjoy 80’s themed food, and loosen up with a few beverages! This is a 21 and over event ID Required @ the Door. Ticket Prices are $40 Per Person or get a Group Rate of $35 Per Person for groups of 8 or more- Purchase tickets on our Eventbrite site or in person from a Rotary of Westmoreland Member. Welcome to our 2019 Bowl For Kids’ Sake event at Hillview Bowling Alley on April 7th from 2-4:30 PM and from 6-8:30 PM. Prepare to blast into the past with 80’s music and styles! DJ Adam Bomb will be keeping the party going with his excitement and his SELFIE STATION! You can register as an individual or as a team online at www.firstgiving.com/bbbslr or by calling (724) 837-6189. $30/child, $60/adult or create a team and become a POWER CLUB MEMBER! Join us at West Point Fire Fall from 12-4:30PM for the 5th Annual GHAL Bingo Fundraiser! Lunch is from 12-1:30PM and bingo is directly following. Tickets are $25 and can be purchased from the library or a library board member. Tickets must be purchased in advance as the event typically sells out. Ticket includes lunch, all bingo cards for 25+ games, and much more fun! For questions about the event, sponsorships, or donations, email Jamie Falo, Executive Director, at jamie.falo@wlnonline.org or call 724-837-5620. 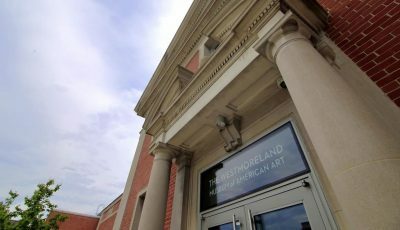 Take part in a fun-filled celebration of the arts, community and planet earth at the Westmoreland Museum of American Art. 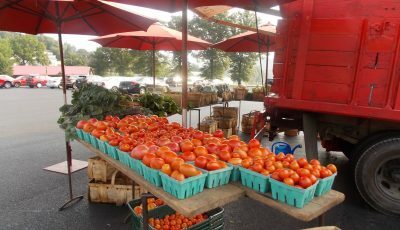 From 11AM-4PM, meet with the Greensburg Garden Center and leave with a flower or some seeds to plant in your own garden. Performance by Stage Right as well as upcycled art activities for all ages! Purchase a reusable tote and screen print it yourself in our studio. Stay and enjoy the landscape in the Museum garden and those in the galleries.